It would appear that the system Boeing designed to be transparent was too transparent. The cause of the Lion Air crash — and the suspected cause of the recent downing of Ethiopian Airlines Flight 302 — is a little-known piece of software known as MCAS, the Maneuvering Characteristics Augmentation System. Ever since the Lion Air crash, 737 MAX 8 pilots have been expressing outrage that Boeing did not properly inform them of MCAS, particularly the possibility that the program could wrench control of an aircraft from human hands. An aircraft incident reporting database maintained by NASA is filled with multiple reports from MAX 8 pilots of the aircraft aggressively pitching forward soon after takeoff. In another, a pilot called the MAX 8’s flight manual “almost criminally insufficient” and complained that Boeing had left pilots in the dark about the extent of the MAX 8’s automation. “The fact that this airplane requires such jury rigging to fly is a red flag,” read the report. Truly sad. Rumbles on Youtube has Boeing attempting to have the grounding avoided through higher up request... That would truly show how far greed has lost touch with life. We need to have that fine balance back. My neighbour is an Air Canada senior pilot and a certified trainer. He told me that Air Canada is the only airline in the world that he knows of, that trains their pilots the procedures on how to shut off the MCAS system. A few fighter jets are designed to be inherently unstable and use flight controls like this to counter it. Being so close to the edge (or past it) improves their maneuvrability. However not something necessary or desireable on a commercial jet liner. Pretty interesting read on how they got to this point. In order to compete with the airbus neo they needed to add more fuel efficient engines to their 737, which were larger, so they moved them forward and up on the wing to accommodate. Which changed the COG and changed the lift characteristics. Which necessitated the need for the MCAS. They were considering a clean sheet re-design to compete, but that would take too long and cost too much, so the MAX 8. Not necessarily believing in it but another perspective to look at as the so called " real news" don't cover real news anymore. Believing in our news system ( accept local) is as laughable as YT if you really want to open the can of worms. Last edited by ctzn-Ed; 15-03-2019 at 02:27 PM. Boeing has much greater influence in the US government than in previous administrations. Like many departments of the government, lobbyists and former employees of the very industries they're supposed to regulate have declared their intention to "cut red tape" and "Make things easier for business". Government should rely on people knowledgeable with the industries they're responsible for while remembering that the government is responsible to the people, not to businesses. The action represents a rare case in which other countries — including allies such as Canada, Great Britain, France, Germany and the European Union — refused to follow the FAA's lead in dealing with the safety of a U.S.-made aircraft. Even more strikingly, the U.S. bowed to the pressure, even after Boeing CEO Dennis Muilenburg assured Trump in a phone conversation Tuesday that the aircraft is safe. Trump said Wednesday that "Boeing is an incredible company. ... Hopefully they will very quickly come up with the answer. But until they do, the planes are grounded." He called the move "a very tough decision." "We didn’t have to make this decision today," Trump said. "We didn’t have to make it at all. ...please detail out what greater influence, on which administration, and which pervious administration was harder on Boeing? I think this is the starkest sign of how badly Boeing approached the small plane market: It tried to kill the Cseries by getting the US government to slap an absurd tariff on a niche it didn't even serve, then tried to take over Embraer wholesale but failed, and now their stopgap solution is shown to have (literally) fatal flaws. Meanwhile, China is having a major schadenfreude moment over this (they were the first ones to impose a full-scale grounding). Their C919 is another upcoming competitor in the small plane market and it's a perfect opportunity to hit back over previous incidents like ZTE and Huawei. The small plane market is the next big trend in passenger aviation and none of the main players can afford to screw it up. So-called skinny routes, or point-to-point connections between middle sized markets, are breaking down the traditional hub-and-spoke model. I wasn't kidding when comparing the end of A380 production to the end of Concorde. They were each extreme examples of visions of the aviation future, ones that the market eventually rejected. Last edited by Foolworm; 15-03-2019 at 12:36 PM. I’m always a fan of root causes so it was super interesting to learn that the Max 8 was a rushed response to the Canadian made C series jet, which proved to be an industry game changer! From that well known lefty rag, The Economic Times. Boeing has nominated Nikki Haley, Trump's former U.S. ambassaambassador to the United Nations who continues to be a close ally, to join its board of directors at the company's annual shareholders meeting on April 29. Trump has also put pressure on U.S. allies to buy products from Boeing, the country's second largest defense contractor which received $104 billion in unclassified defense contracts between 2014 and 2018. U.S. officials and defense industry sources said that weeks after Trump pressed the Emir of Kuwait in 2018 over a long-delayed deal for Boeing's F/A-18 Super Hornet fighter jets, Kuwait said it would proceed with the order. you do realize that you still haven't answered the actual question RichardS asked don't you? I don't recall any prior Presidential appointee acting as a salesman for his former company. Since coming to the Pentagon, Shanahan has faced criticism over reports that he has touted Boeing’s line of aircraft over rival Lockheed Martin. In the fiscal year 2020 budget released Tuesday, the Air Force is set to purchase up to 80 F-15Xs over the next five years — a system, made by Boeing, that the Air Force has said it does not want. And I'm not the only one who's asking questions. But let's not question what Eisenhower called "the military-industrial complex". There's just too much money to be made. Last edited by kkozoriz; 15-03-2019 at 12:15 PM. Sorry that it wasn't clear. The MAX is a response to the Airbus A321neo. Not the C-series planes (now called Airbus A220). Those are much smaller and don't compete in the same market/routes. The Chinese angle will sure get interesting for sure. I can't help but think Canada will be joining that buffet as well. Thank you. I am so sick of the BS in this issue. The C-Series/A220 is not a factor, and the Delta trade conversation proved that out. KK doesn't care. It is all about avoiding the real issue, and all about making it about Trump. Sure, Trump is a bombastic narcissist who will take credit for everything, but we know that he is a bombastic narcissist. That; however, is not why the FAA was last to the table. ...and the amazing new satellite array NAVCanada has to track A/C globally which can give it a unique insight into things like this...I bet not many of you know what NAVCan is doing...and it is pretty freaking sweet! Hey KK, could this be what I am trying to do with the Airshow...show off this type of advancements? Nah. Of course not. You can certainly tell those that have had hard decisions thrust upon them vs those that just like to blame. The blamers are shouting at the FAA, and at TC/Garneau. I think Marc did the right thing. In the evidence he had, Air Canada and WestJet were aware of this potential issue and had trained their pilots to recognize it and react...just like the rudder issue of 1994. Marc has the experience of the training in this world where risk assessments are made on a routine basis, and so do many in the FAA. They know the liability of both sides - the complexity of grounding a fleet. The FAA had 9/11 as a backdrop to what it is like to shut something down like that. It is not easy, and I am sure it was weighing on Marc's mind. Once evidence was presented, Marc made the call. nah...it must be about TRUMP. And if KK would like to actually research aviation accidents and the politics/nuances/issues/complexities within them all, then the answer to the question I posed would be apparent. Oh, and by the way KK, the answer is all of them since the dawn of aviation. All have been influenced, lobbied, lobbied after accidents, lobbied for foreign markets, foreign market protection...and all have reacted in one way or another, and you would be hard pressed to make the case that Trump is more or less affected by the same. Same for AIRBUS, Embraer, Bombardier...and their requisite political leaders and certification agencies. The only thing you said correct was paraphrasing Ike's comment, but then that complex affects all Administration's equally...unless you're trying to say your heroes weren't? Should I bring up Kennedy/LBJ and the Arrow v F-15? where should automation end and humanity begin? is this new thing a new version (type rating), or a whole new plane? How should certification be done? How do we keep the politics out of certification? I could go into the lengthy post, but that would bore many here, and I am waiting for the investigation. KK accused me of having a slavish devotion to a part of aviation, but if KK actually would stop being so biased and look at what I actually do, KK would find out that it is really about answering the questions above, and integrating it into helping Edmonton diversify its economy. Coincidentally, one of the first symposiums proposed for the Career Fair was this exact question of how much tech is too much. Given this event, I am looking at accelerating that conversation. There's a lot to unpack here, and you touching on one issue with global trade/certification. In this case, it is the argument of aircraft type commonality (a version upgrade for the computer speakers) vs a whole new airplane. The 2 737's EPRT referenced earlier are only common by saying they are the 737 family, but the planes couldn't be further apart. It is like saying a 1950 F series truck and a 2019 F series truck are the same...they are not. The issue I am seeing, and was raised before, is what is the level where the design is considered net new? In some aspects of the automotive world, if you can say 40% or more of the parts are new, or not interchangeable, then it is a new car model even if you call it a Cadillac Eldorado. In this case, the 737 Max only shares virtually nothing with the NG/Classic/original series. ...it is manufactured in Renton, is called a 737, and has the same radar cover. That's about it from what I know today. However, when this was being tested, this was treated as more of a version upgrade than net new. The investigation will ferret out whether or not this approach was foolhardy. I agree about the abandonment of hub/spoke in aviation, especially in the First World. This model lead to delays and the creation of superhubs, which are logistically a nightmare. This is where the C-series/Embraer will shine. However, the 737 Max and the A321Neo are meant for higher load routes, both in cargo and in passengers. Their range is larger too. ...and, you must remember that the 737 Max is also an attempt to replace the 757 series as they are getting old. I often wonder why they didn't redo the 757...it was taller, removed the clearance issues, and had a great wing. That thing is a rocket, and operators love it as much as the 727. Separately, I have read that Boeing had to modify the 737 airframe for newer engines, which necessitated changes to the forward landing gear, which may have caused problems with the 2 types of sensors that inform the new software control system. From the draft Lion Air report, that plane seemed to exhibit control problems when autopilot was engaged, problems that stopped when it was disengaged, which had happened on a prior flight with the same plane. Other pilots have reported similar behaviour, collected by an anonymous reporting system managed by NASA. AC suspends 2019 Financial Guidance. Inadequate training and rushing unqualified people into the cockpit... This is a huge issue for the industry as a whole. I don't think it's hard to see a political motive in, say, China grounding its entire fleet less than 24 hours after the incident. That's not enough time to even attempt any rescue efforts, let alone conduct a preliminary investigation. In light of recent grievances with the US, I think it is reasonable to infer as such. Oh the other hand, is it wrong to say their actions are justified when they (purportedly) act out of 'an excess of caution?' This is the second catastrophic crash in as many years involving a brand new aircraft of the same, newly introduced model. The last time a wholesale grounding like this occurred was the Dreamliner and their battery problems, and that was with no fatalities - compare this to the 737 Max, which has now incurred 350 in two years. It is entirely fair to say that the consequences of a grounding have to be weighed carefully, and that due process is allowed. However, China essentially 'took the lead' by being proactive in implementing a ban, with Indonesia following close behind. Both are giant aviation markets, and it set a precedent for other countries to follow. Besides the horrible optics, there is also the matter of consistency - if a country grounds its fleet, how is it supposed to tolerate aircraft of another flag over its airspace? In this case the US had to do an about-face, which seriously undermines its credibility given that it is the producer nation of the aircraft in question. Of course the sordid details are a feast for the media, but I emphasise that the FAA has a SAFETY mandate i.e. that it should on principle err on the side of caution. As an aside, I don't think the certification process is an issue here. There are pretty much only two authorities who really have any saying power (EASA and FAA) and anyone who is even remotely familiar with them will also know the sanctity of those institutions. Backpedalling a bit, I believe the either has enough authority such that any proclamation is enough for the rest of the world to follow suit. This allows for a orderly, coordinated process and is the usual state of affairs - witness 9/11 and how well-organised the response of the aviation world was. In this case, China broke order and unilaterally declared a grounding of the fleet, and that other countries would follow its lead is, I suspect, a sign of its growing clout. Groundings are uncommon, the last one I can recall due to a crash was the DC-10 after Chicago. The point being is that the US was the last to the table and they had the manufacturer right there at their beck and call. And yet every major country grounded their 737 MAX planes before they did. Two crashes, not within two years but within 6 months ( October 29, 2018, Lion Air Flight 610, March 10, 2019, Ethiopian Airlines Flight 302), both just after takeoff. We have also gotten word about what Boeing did and did not tell the airlines about the MCAS system, including from pilots from American where they stated that they had been given no information on it or how to override it. But sure, let's just keep flying, regardless. Maybe we'll have another crash in another 6 months. Would you be OK with an immediate grounding then? How about two? There have been questions raised about the large number of industry lobbyists that are in the current American administration. Generally, the rest of the world have followed the American lead. We're seeing a situation where that may no longer be the case if it's shown that something other than passenger safety is being relied upon to make these decisions. So if two crashes of the same model plane, under similar situations in six months isn't sufficient reason for a grounding, what is? Three? Four in a year? Or should the planes just keep flying and crashing as long as the period between crashes is getting longer? Last edited by kkozoriz; 16-03-2019 at 03:18 AM. Deregulation, abdicating oversight and making the bottom line more important than safety. Seems like an appropriate time for someone to blast Obama. Last edited by KC; 17-03-2019 at 06:31 PM. Yup, as it happened under his watch. Also, the congress as they are the ones who actually set the budget allocations. I've flown on the Max 8 several times in the past couple of years. Nice airplane, I especially like the larger overhead baggage compartments. It's rather ironic that the Airbus which was the first passenger aircraft with a completely digital fly by wire control system was criticized for having a flight control system that would not always accept pilot input. In 1988, an Air France Airbus crashed while conducting a low level low speed fly by at an airshow. The pilot flew the plane too low and when he tried to apply power and lift the nose by activating the elevators the FCS went into stall prevention mode and did not respond to the pilot's inputs. Sounds rather familiar. At the time, there was general praise in the pilot community for Boeing's jets still having traditional mechanical control systems. Will Garneau put Canadians safety above Boeing's bottom line? Ashley Nunes, who studies regulatory policy at MIT’s Center for Transportation and Logistics, said the FAA has for years lacked adequate resources and staffing, which has had an “impact on the quality of service.” Currently, the FAA hasn’t had a permanent top official for 14 months. Nunes said a report from the Seattle Times alleging that the FAA sped up approval of Boeing’s 737 MAX 8, which included a flawed safety analysis, is more evidence Canada needs to rethink how it approaches certification with the troubled U.S. agency. EU & Canada to conduct independence certification of 737 MAX after crashes. I intentionally left that accident out as it is mired in controversy over allegations of doctored CVR's and FDR's, allegations of pilot error, etc. ...but yes, that accident was the first time, and a constant whipping boy, when planes that are automated start doing things contrary to what pilots want. ...there is a conflict between pilots who are trained to fly who hate control being wrestled away from them vs "push button" pilots that haven't flown planes you have to fly. That statement will become clearer as this investigation rolls on as I am sure it will be brought up. I can explain more if people want. Yes, AF447 was a total cockup since it was determined that the crew did not follow the procedure for dealing with unreliable air-speed from a faulty pitot tube. The first Max 8 crash was also attributed to a faulty angle of attack sensor. The CBC interviewed a Canadian aviation expert after the 2nd Max 8 crash and one of things he mentioned was how Canadian pilots were taught how to turn off MCAS so obviously dealing with a recalcitrant FCS is part of the training syllabus. I would hope that is something all airlines should have as part of their simulator scenarios. As the Lion Air crew fought to control their diving BoeingCo. 737 Max 8, they got help from an unexpected source: an off-duty pilot who happened to be riding in the cockpit. Not good for Boeing at a time where rvials have just emerged. L8imd our own and China. Hope we benefit out of their mistakes. I encourage all to read the full article. It actually goes into a bit more detail than the dun dun duuuuuunnnnn headline would have you assume. It is proper and often certain protocol that when there is any hint of malfeasance or intentional irregularities in an accident, the FBI gets brought into play. While the article does cite a potential to silence witnesses, it is due course and prudent in a case like this to bring the FBI into the investigation. A helping hand is not that uncommon. Jump seaters have a helped before. ...and then there are crew that just happen to be there...like United Airlines Flight 232 in Souix City. ...this again starts to talk towards airline culture, maintenance strategies, issues therein, crew communication, etc. It is going to go towards culture, training, and efficacy of airlines in North America and Europe where no crashes have happened,(and in Canada they trained for this issue), vs other nations and airlines that may or may not have a culture of continuous improvement. Yeah, they should just let them keep crashing until the airlines pull up their socks. Last edited by kkozoriz; 20-03-2019 at 09:40 PM. yeah...'cause that's what I said...or anyone. Maybe you need a "crash course" in how investigations are run? It's all about the Benjamans. Capitalism gone insane. Making safety features a costly upgrade. Hope Boeing gets sued to hell and back. Facism the bleeding edge of capitalism. Complete control by a select elite - with or without military support. Okay - understand passenger comfort can come with options. Passenger entertainment can come with options. How the F**k is passenger safety an option??? 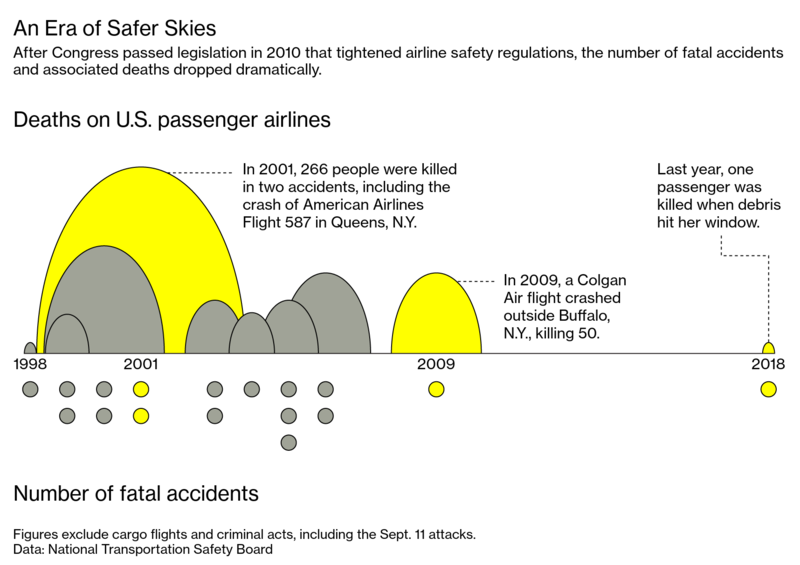 The airlines have to take some of the the responsibility for deciding not to take the safety options. AC to their credit took both options whereas WS took one. I think Canadians can take some reassurance from that. Boeing supplied training materials didn't mention MCAS system. Self taught, 3 hour online course. First order cancellation for Boeing. Indonesian airline Garuda said Friday that it's canceling a multibillion-dollar order for Boeing's 737 Max 8 passenger jet after the plane was involved in two deadly crashes in less than five months. The Indonesian carrier ordered 50 of the planes in 2014 for $4.9 billion. It has taken delivery of one of them but has now sent a letter to Boeing (BA) saying it no longer wants to receive the remaining jets on order, Ikhsan said. On cars, you can buy various model safety upgrades like lane assist or auto braking. The consumer has a choice to make it safer. The Boeing difference is that they knowingly made a airliner that had an unsafe flying characteristic due to design changes that affected the center of lift. Then without full disclosures to customers; offered safety measures as an option that could negate the design problem. Not quite true. They offered safety measures that negated the design problem as standard (MCAS). The optional safety features are for the safety features. In your analogy, it's like the auto braking was standard, but in rare instances the auto braking would slam on the brakes, unwarranted, at hwy speeds when merging. The optional safety features would be like a shutoff button for the auto braking, or an indicator which showed there was no need for braking (like a windshield). No, airliner flying straight and level in clear blue skies, has a single point sensor failure, becomes uncontrollable and plunges at 600mph into the ground. Sort of like a new car that has a tendency to pull left into oncoming traffic and has a computer system to prevent unintended left turns. Sensor fails and your vehicle swerves left and won't turn right to get back into your lane. Only if you bought the $1,000 option, can you shut off the computer to save your life. Boeing cheaped out and instead of fixing a design problem, they covered it up with a software fix that could, and did fail many times. Then they covered up the extent of the problem and only now after two major tragedies, do they grudgingly ground the planes. Not only should Boeing be sued, the top brass should go to jail for the rest of their lives. Last edited by Edmonton PRT; 22-03-2019 at 08:49 AM. It was a big push by Boeing to sell jets. "Hey Customer, if you by a Max series, you can train your 737 pilots on their iPads at home in 2-1/2 hours on a self taught course." "Think of all the money your airline will save not having to train pilots on a new aircraft" "Buy Boeing and Download the free app today!" So Boeing tries to crab a relatively small sum by not including these safety features and now stuff is really hitting the fan. If other buyers are thinking the same way, all this is going to hammer Boeing. Boeing offered safety measures that negated the design problem as standard (MCAS). The optional safety features are for the safety features. If Boeing knew MCAS had a design feature that required safety options - they shouldn't have been options. Why would airbags in cars be required standard equipment when "options" to over-ride an unsafe piece of standard equipment on an aircraft with 200 people on board not be required? Also, when did pilots causing older generation 737's to stall become a problem? I know, the newer bigger engines positioned forward on the Max models was thought to be a potential problem. Then don't build the da*n thing in the first place. Last edited by McBoo; 22-03-2019 at 03:38 PM. * This product should not be used as directed, as it should not be used at all, so do not use this product because you think you know better than Boeing. Do not believe our sales staff or executives or anything that they say. Do not use this product if between the ages of 2 and 102. While the product may be flown, it may also be used as a flying deathtrap, although after takeoff, please immediately finish your living will on fireproof paper. There’s no research on this software, so we don’t really know anything about the product, but you should buy it just in case it does something cool and nifty. Most importantly, don't buy Airbus, they make unsafe products and you can't trust the French, just cause. Last edited by Edmonton PRT; 22-03-2019 at 02:40 PM. It’s funny you mentioned airbags.. The Rachel Madow Show did a clip on this. 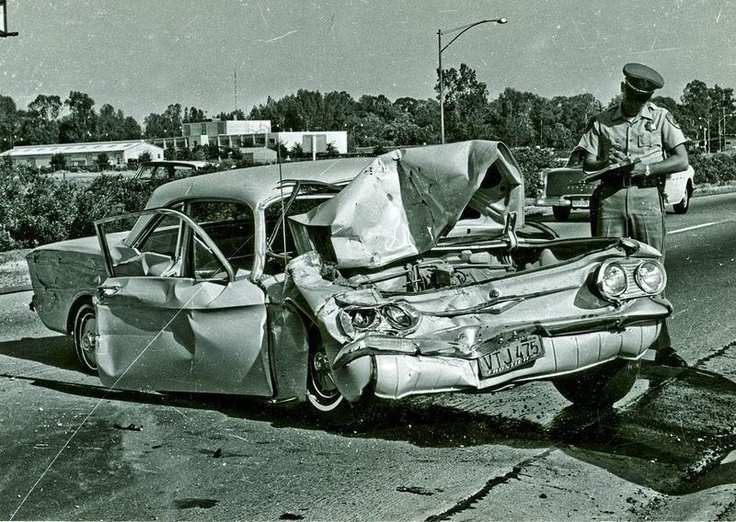 The auto industry started lobbying president JIMMY CARTER against mandatory airbags despite clear science they prevented significant loss of life. They only became mandatory in the 90’s. Seatbelts had to be mandated, padded dashboards and safety glass too. The most notable issue is that prior to the two Max 8 tragic crashes, the airlines were having the safest record in history despite more passenger miles than ever. WestJet has no plans to cancel Max 8 order. I'll bet you Air Canada keeps theirs as well. The 737 is too big to fail. That's been said of various empires in the past, though. There’s no research on this software, so we don’t really know anything about the product, but you should buy it just in case it does something cool and nifty. Despite the sarcasm that sentence rings so true nowadays it should scare everybody. It speaks to the culture of geek in places like Facebook where there is no morality, more a sense of amorality and the worship of cool tech. One can easily picture a developers meeting where one programmer says "look at this cool subroutine I just cooked up" and they insert just to see how it fares. But in the case of Boeing it would be a matter where they thought the code would be useful or beneficial without addressing the potential ramifications in terms of training, documentation or even testing (because it might have passed testing previously elsewhere). ^LOL, "One can easily picture a developers meeting where one programmer says "look at this cool subroutine I just cooked up" and they insert just to see how it fares." This just demonstrates that you haven't the foggiest idea of how software design and development works in the real world, nevermnd in mission-critical scenarios. When the accident happened last year, Boeing did the least effort and would not give full disclosure to their customers. That is why they are investigating and people will be held accountable. Profit before people or people’s safety. The entire Board and Executive Team should be dismissed. Shareholders should demand that and nothing less. Jailed more like, in a really nasty prison. Software writers rarely have to live (or die) with the results of their design. They get it working and then move on. The users then have to live with cumbersome screens, poor information transfer efficiencies, tedious input and review steps, etc. If they were home designers you’d be buying homes with loads of cool neat useless features but the attached garage wouldn’t have a door into the house, the mailbox would be beside the outdoor garbage cans, all the windows would be in one room, etc. Last edited by KC; 23-03-2019 at 09:13 PM. The comment (with an element of sarcasm) I made was directed at places like Facebook not Boeing. If you read about the culture in Facebook there are elements of that mindset that does not consider the ramifications of the potential fallout bearing in mind that Facebook is social media and not mission critical real time systems. And yes I have worked in software development environments. I have seen what the pressures of time constraints, the desire for profit in contracted software development and the lack of design oversight or even risk management that hinders the outcomes of software development projects. If you read the back story about the Max 8, Boeing originally wanted to develop a new plane but one of their major customers didn't want to wait and threatened to go with Airbus. The Max 8 was developed under severe time constraints and while there may not be intrinsic issues with the FCS software in terms of actual faults and defects there were and are definite consequences with regards to its impact on the operation of the aircraft as a whole. Last edited by norwoodguy; 24-03-2019 at 03:12 AM. When you cut corners in this business, people die. To be fair that statement holds true for a lot of industries PRT, but still a ligit point. Yeah but usually not hundreds at a time. A Southwest Airlines Boeing 737 MAX 8 that was on its way to California to be grounded had to make an emergency landing shortly after take-off at Orlando International Airport on Tuesday. Southwest 8701, which was occupied by a pair of pilots and no passengers, took off from Orlando just before 3 p.m. local time, a spokesperson for the airline told Global News. However, pilots reported a “performance issue” with one of the engines shortly after takeoff, and returned to Orlando where it made a safe emergency landing. Interesting info about dangerous flaws in the automated system for Boeing. You'd think that this was the sort of thing they'd have bothered to check on before starting to sell them. But that would have hit the bottom line. The U.S. Federal Aviation Administration (FAA) said on Monday it expects to receive Boeing Co’s proposed software enhancement package for the grounded 737 MAX “over the coming weeks” after the company had previously said it planned to submit the fix for government approval by last week. It makes you wonder about their commercial planes. Do they have the same problem and if so, how many have slipped through the cracks? For the second time in two months, the US Air Force has stopped accepting deliveries of new Boeing KC-46 tanker and refueling aircraft after debris was again found in some of the planes coming off the production line. "We actually stopped again the acceptance of the KC-46s because of foreign object debris that we found in some closed compartments," Air Force Secretary Heather Wilson told Congress Tuesday. "We've got corrective action in place, including (inspections) in some of those closed compartments to make sure that the production line is being run the way that it needs to be run," she said. Unless you have information about other manufacturers - based on this article it is Boeing only that has a problem with debris left behind. Boeing is the one that the story is about. If it doesn't go into detail about every other aircraft manufacturer, does that make it wrong? No. Does it mean that other companies might not have the same problem? Again, no. However, Boeing is in the news right now and in no small part to the fact that the FAA has handed over a lot of the work that used to be done by FAA inspectors to Boeing. Their shortcoming are naturally going to attract more attention. Now, if you have information that Airbus is getting the same deal from the inspectors in France, by all means, post a link and let's see. Was the software reengaging even after being turned off? The paper said a review of "hundreds of pages of internal emails, corporate documents and federal records," as well as interviews with more than a dozen current and former employees of the North Charleston plant, revealed "a culture that often valued production speed over quality." According to the paper, plant employees described defective manufacturing, debris left on planes and pressure to not report violations across "nearly a dozen whistle-blower claims and safety complaints" filed with federal regulators.